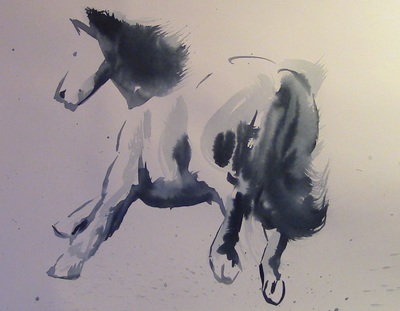 'Winnie' Original ink painting. Signed and dated. Approximately 60 cm x 60 cm (24" x 24"). 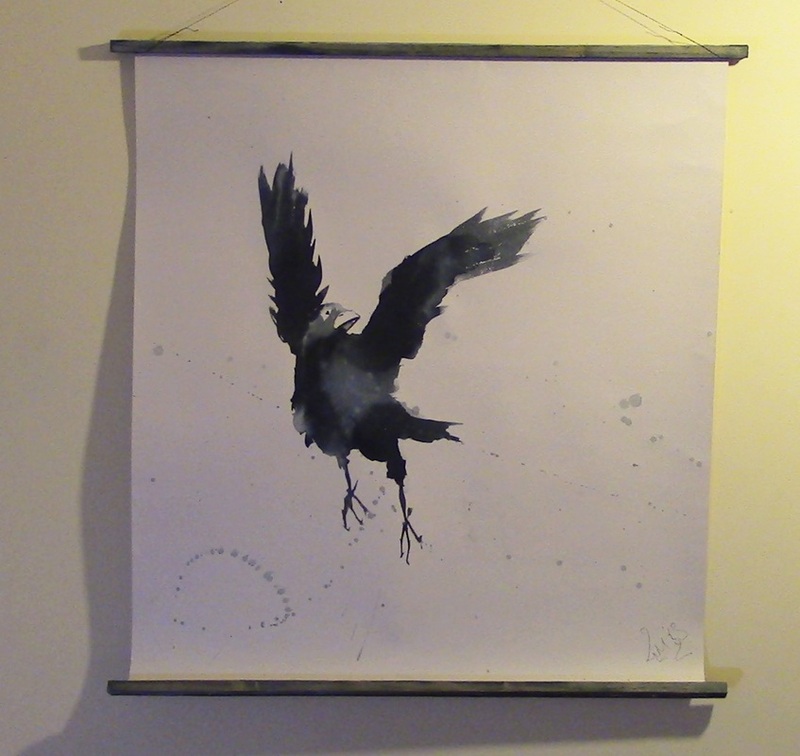 Fitted with timber strips top and bottom and a string for hanging. Sent rolled up in a tube. €45.00 includes postage and packing. 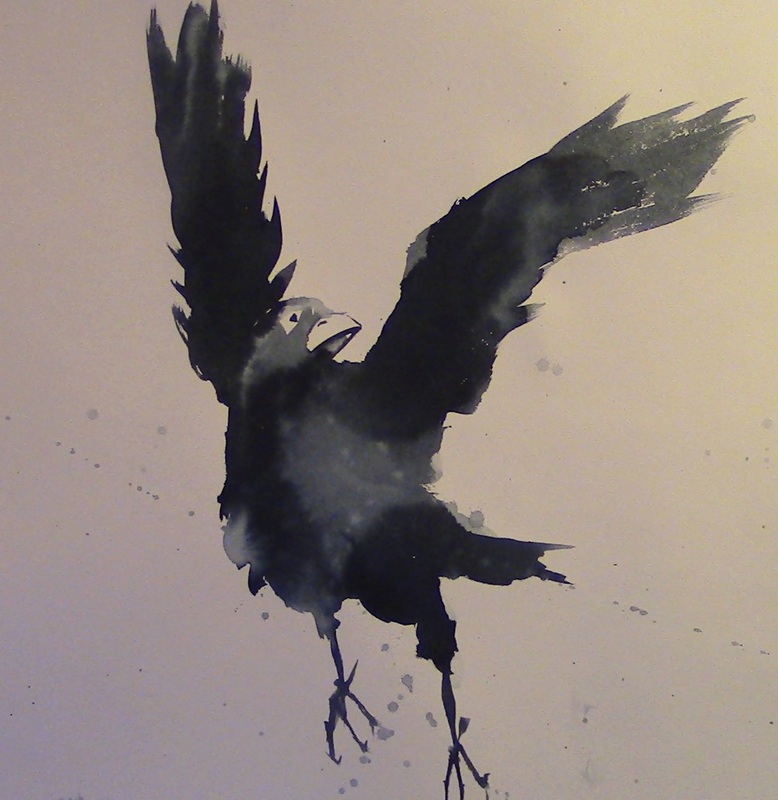 'CROW' Original ink painting. Signed and dated. 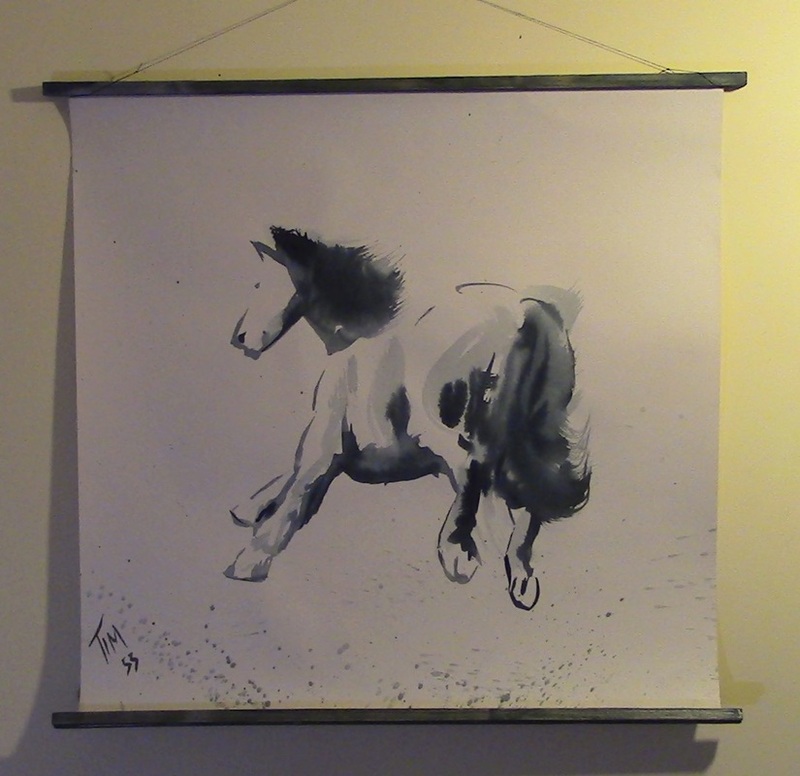 Approximately 60 cm x 60 cm (24" x 24"). Fitted with timber strips top and bottom and a string for hanging. Sent rolled up in a tube.